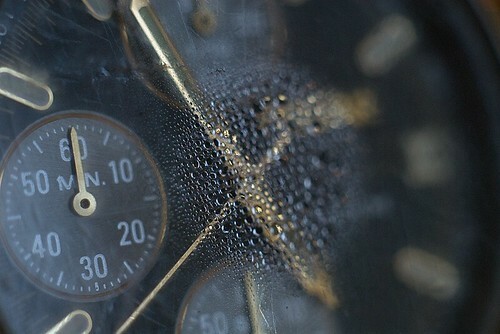 Apparently, my watch is no longer water tight, resulting in it trapping water vapour inside it. While at times it gets in the way of telling the time, it can also lead to remarkable vapour patterns. From this lovely incremental drop size field, to full blown electron shell visuals.